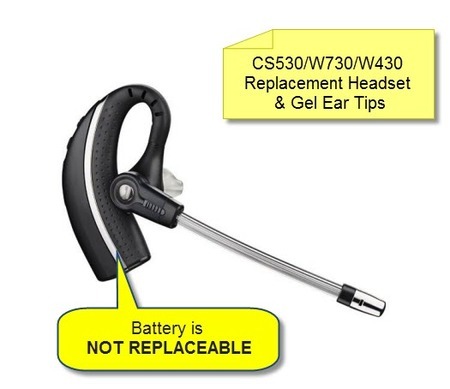 The Plantronics CS530 replacement (or spare) headset. Note: This headset will not work on its own. Only order this item if you already have the complete Plantronics CS530 system.